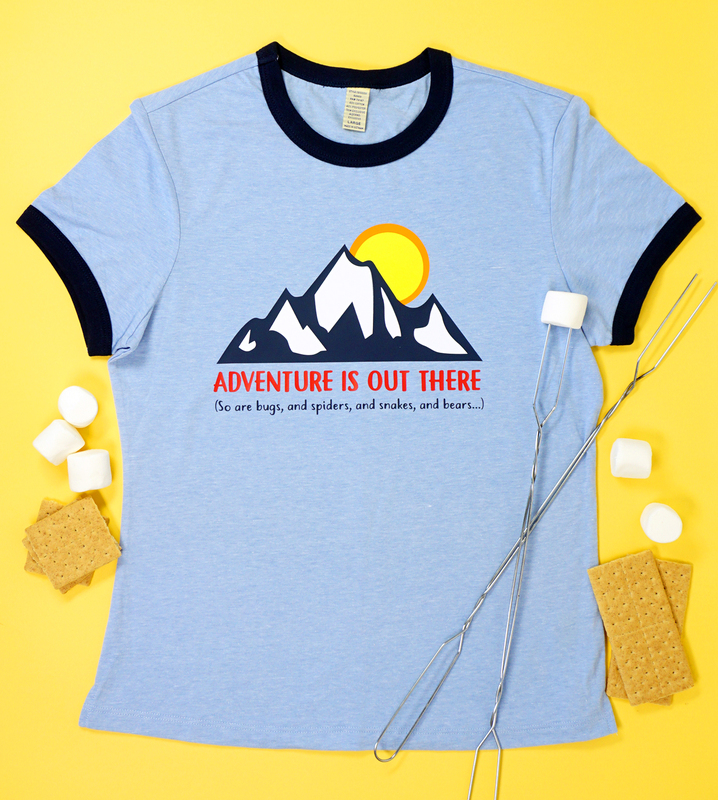 This funny camping shirt reminds you that “Adventure is Out There (but so are bugs, and spiders, and snakes, and bears…)!” Grab this humorous camping SVG file to make a funny camp shirt, tote bag, or personalized sleeping bag of your own! The weather is warming up, and around here, warm weather means it’s time for camping! There’s nothing that my kids love more than sleeping in tents, fishing all day long, and making s’mores around the campfire at night. 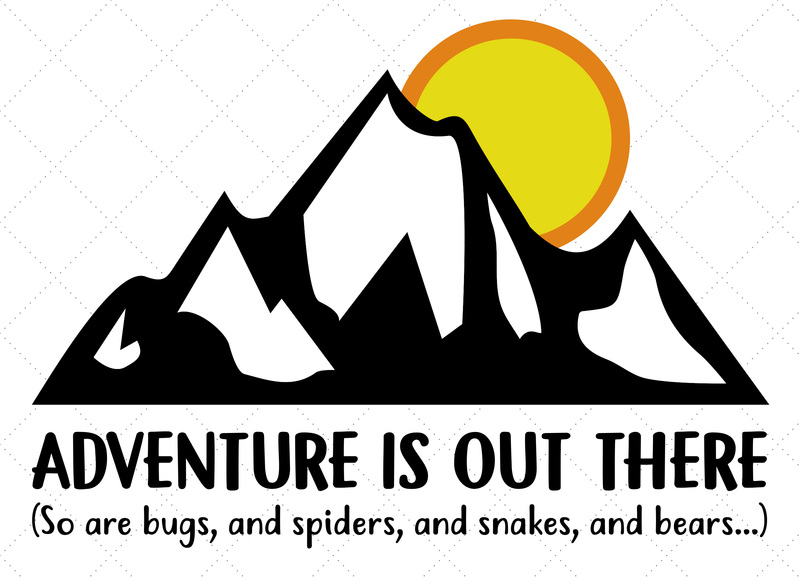 Personally, while I love making memories with my family in the great outdoors, I could do without all of the creepy crawly critters that come along with the camping territory! 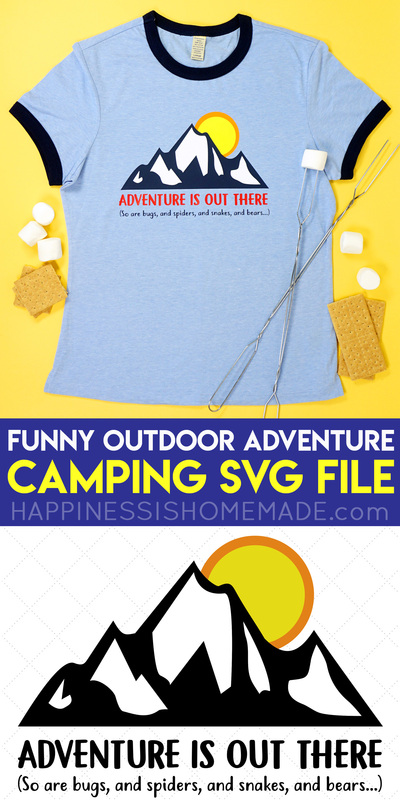 This SVG file includes the humorous line in a small font, so I recommend cutting it at least 6″ wide (or 4″ wide if you’re not including the smaller line of text). I also highly recommend using the hooked weeding tools from Cricut’s Weeding Tool Set to remove those tiny pieces! I positioned the design on to the shirt and used my Cricut EasyPress to iron the design on to the shirt. I’ve said it at least a dozen times before, so I’m sorry if you’ve already heard this from me, but the Cricut EasyPress is a TOTAL game changer when it comes to iron-on! 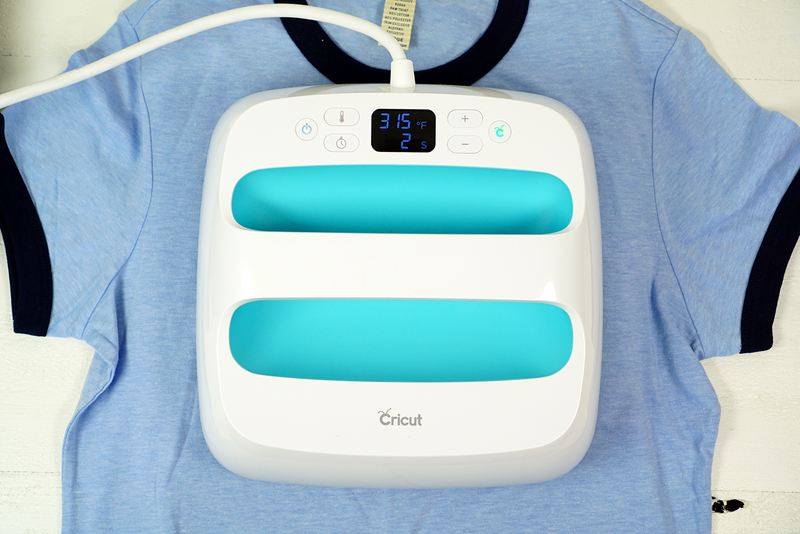 If you do ANY sort of crafting that requires an iron, you’re going to want to get your hands on an EasyPress. 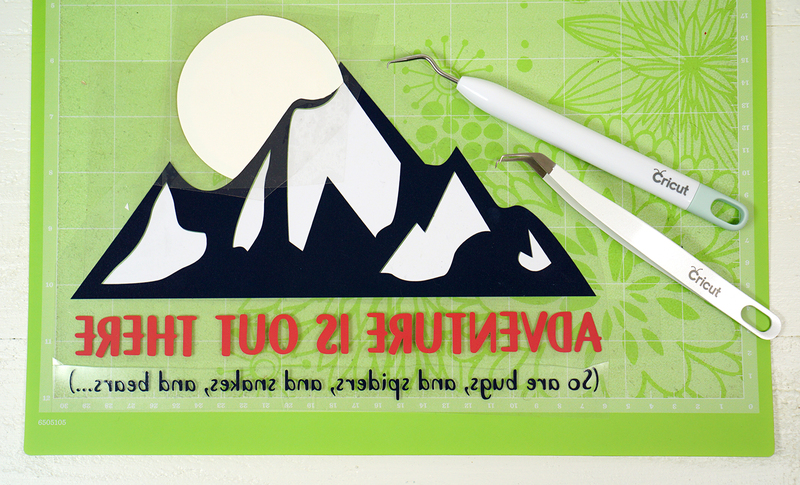 If you regularly use heat transfer vinyl (iron-on), you NEED to get one…NOW! Seriously, go check it out. I’ll wait. Simply iron-on the design using the EasyPress recommended settings – for this poly/cotton blend, I pressed the design for 30 seconds at 315 degrees and then pressed the back side of the garment for 15 seconds. Peel the plastic carrier sheet off when the iron-on is still warm. Easy peasy and SUPER cute! I totally love the way that this shirt turned out! 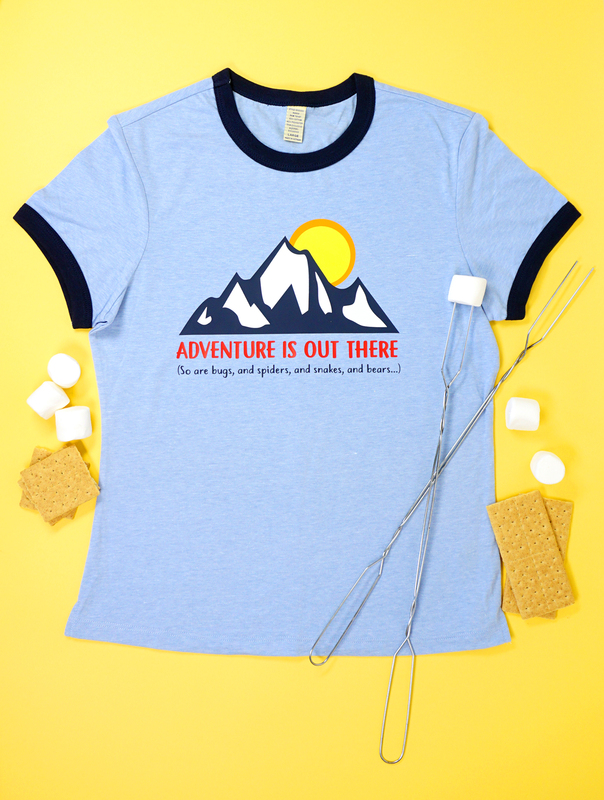 Outdoor adventuring is even more awesome when you have funny camping shirts to wear for the occasion! 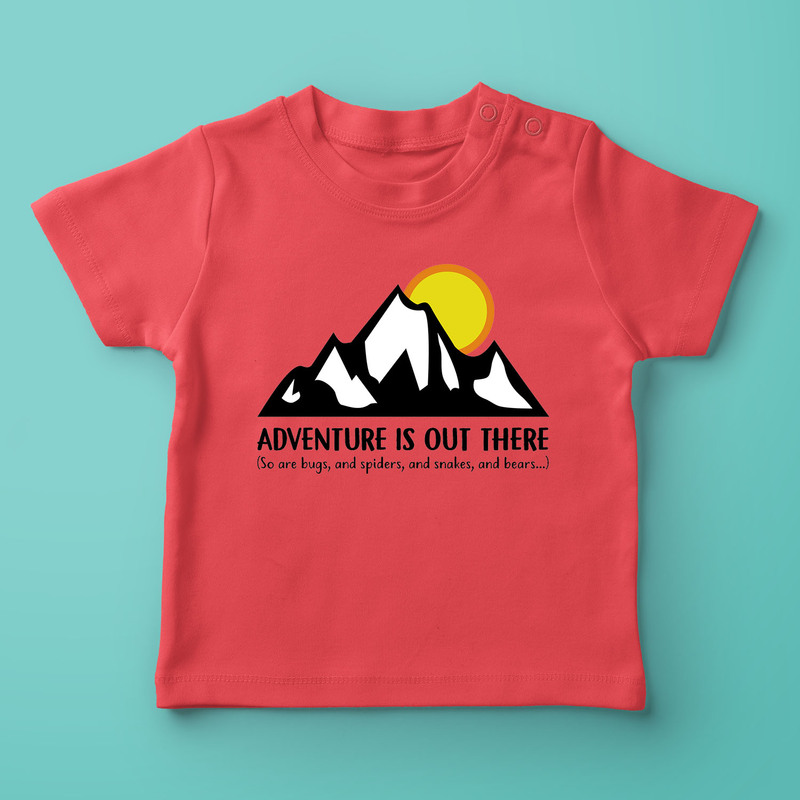 My kids liked my funny camping shirt so much that they wanted me to make them shirts as well! 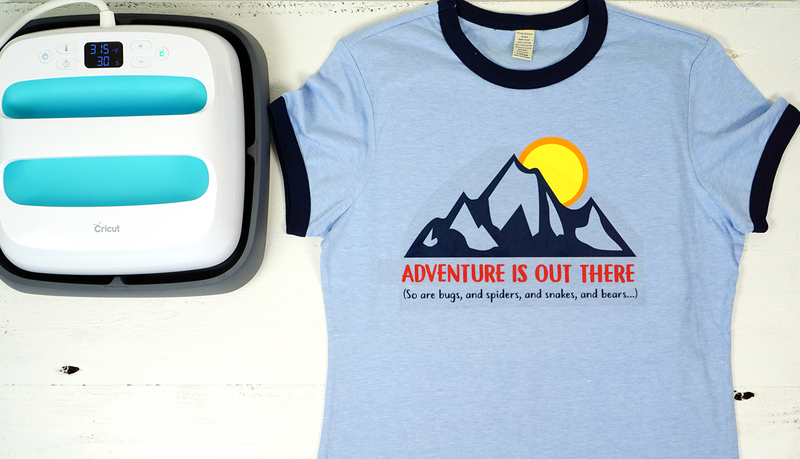 My middle son said, “This totally perfectly sums up how I feel about camping!” They loved this design so much that we even added it to a metal camp mug, too (more on that next week!)! 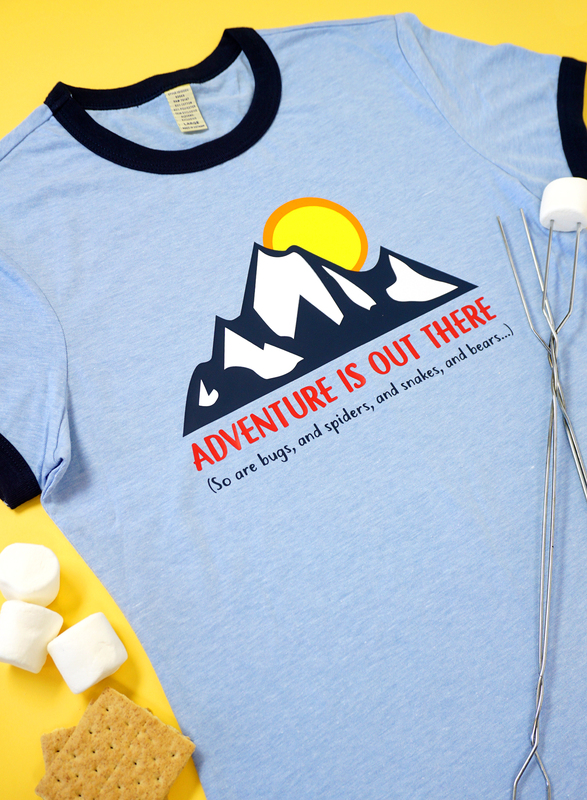 Don’t Forget to Pin This Funny Camping Shirt for Later!